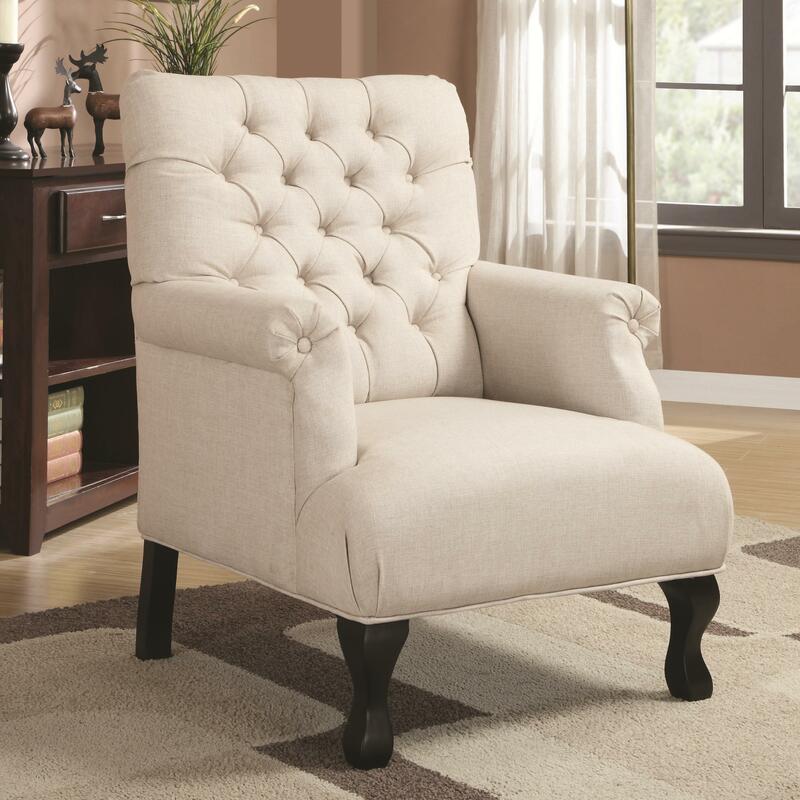 Perfect for traditional-styled rooms, this accent chair features classic design elements, such as a heavily button-tufted back and elegant rolled arms, for a look of classic beauty and simple sophistication. Thick cushions are covered in a smooth linen-like fabric in a lovely shade of oatmeal for lasting support and plush comfort. The Accent Seating Traditional Button-Tufted Accent Chair by Rooms Collection Two at Rooms Furniture in the Houston, Sugar Land, Katy, Missouri City, Texas area. Product availability may vary. Contact us for the most current availability on this product. The Accent Seating collection is a great option if you are looking for Traditional furniture in the Houston, Sugar Land, Katy, Missouri City, Texas area.